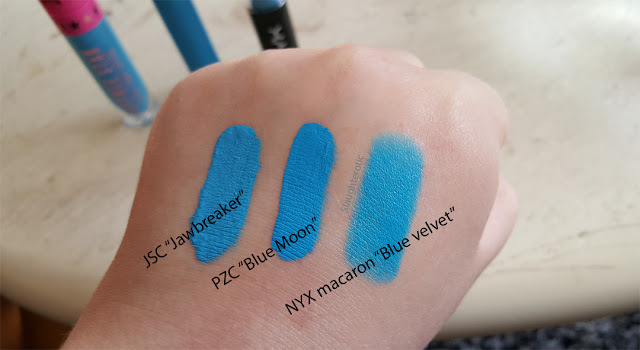 Here are the swatches of Jeffree Star Cosmetics liquid lipstick "Jawbreaker", Pretty Zombie Cosmetics liquid lipstick "Blue Moon" and NYX macaron lipstick "Blue Velvet"
If you're looking for that bright light blue lipstick then these are for you! Opacity: Both JSC and PZC are extremely pigmented, one swipe is all you need. The NYX one is really pigmented too but not as pigmented as the others. Durability: JSC is the clear winner on this one, it sits there for hours! PZC is not too long behind, but (as the brand specifically says) they're not smudge- or transfer-proof. The NYX one you'll have to touche up more often but they glide on so nice it's easy to do. I recommend you to use vaseline or some other oil to remove the liquid lipsticks, works like a charm! Finish: Both JSC and PZC dries down to a matte finish while NYX has more of a creamy finish. Comfort: Since JSC and PZC are liquid to matte lipsticks they are drying on the lips, JSC more than the PZC. I exfoliate and moisturize my lips before applying them so I don't find it to be a problem for me. If you want some extra moisture you can always put on some lip gloss or lip balm on top. The NYX one is very moisturizing and comfortable to wear. 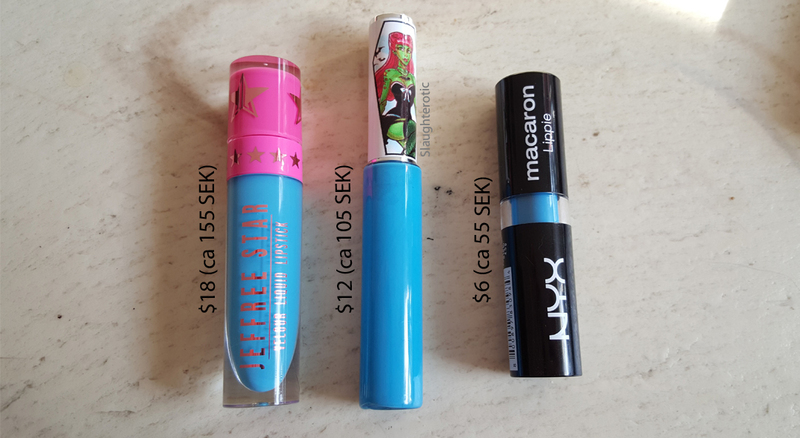 Cruelty free: All three of these lipsticks are 100% cruelty free! JSC and PZC are also vegan but I'm not sure if NYX is. If you want to go bold and try blue lips and like me prefer matte lips you'll not be disappointed with either Jawbreaker or Blue Moon. If you're not sure if blue lips is your thing then definitely try the NYX Blue velvet! It is a really good budget lipstick. Varken Jeffree Star Cosmetics eller Pretty Zombie Cosmetics finns att köpa i Sverige, men länkar till deras respektive sida finns under bilden här ovanför. NYX macaron läppstiften däremot finns på t ex Nordicfeel för 89kr. Ugh. 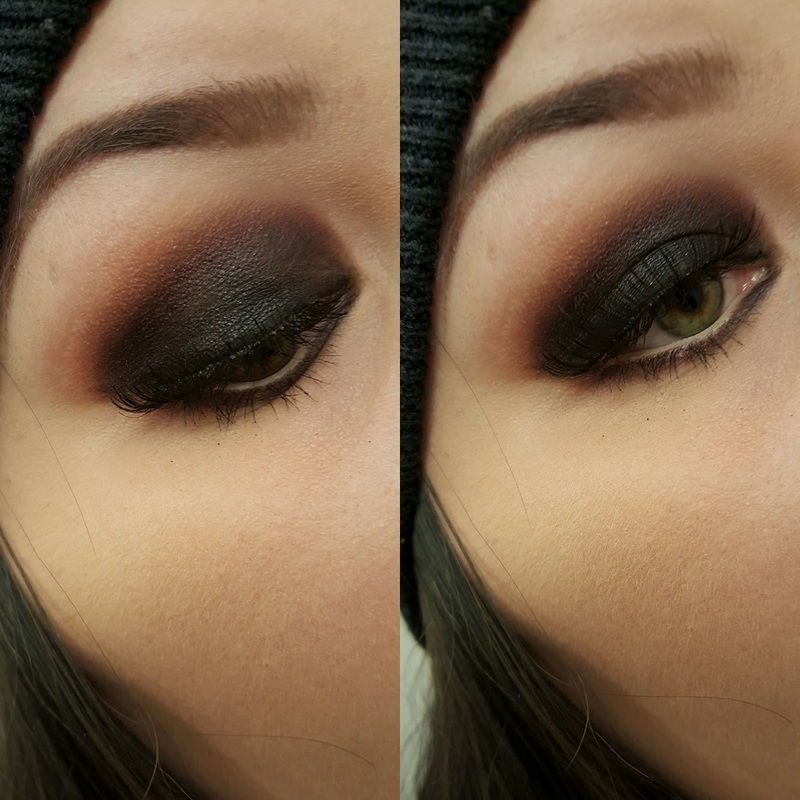 I wish that I took better pictures of this makeup, it looked so amazing irl.